A Mass of Christian Burial will be at 10 a.m. Friday December 7, 2018 at Holy Family church, celebrated by Rev. Msgr. William J. Connell for Mary Jane Kucharski, 91 who passed away peacefully Saturday December 1, with her family by her side. Mary Jane was born May 18, 1927, in Youngstown, a daughter of Christopher and Marguerite O’Neill Benedict. She was a lifelong area resident and a 1945 graduate of Woodrow Wilson High School. Before her full time job of raising her family, Mary Jane had worked at Youngstown Sheet and Tube. She was a lifetime member of St. Dominic’s Church where she attended grade school. Also Mary Jane was a member of St. Dominic’s Altar Rosary Society and volunteered to be part of St. Dominic’s cleaning crew. Mary Jane was a member of Junior Seton Circle and the Ursuline Century II Club. She was also very active in the Police and Fireman Retirees organization. In the past few years she has become a member of Holy Family Church. Mary Jane had been a 53 year 2-time breast cancer survivor. She has participated in several Susan G. Komen’s races for a cure. At the age of 80,with inclement weather surrounding her, she insisted on finishing the race she started. 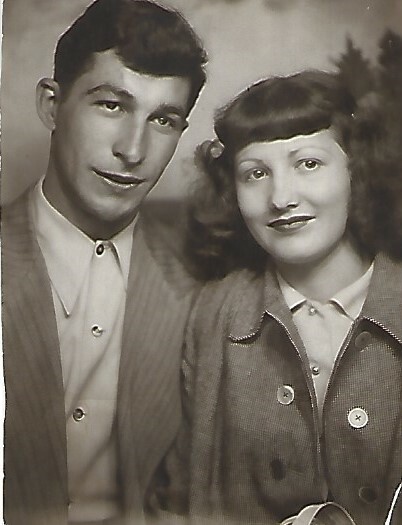 Mary Jane married the love of her life,Theodore “Ted” Kucharski on November 27, 1948 at St. Dominic Church. He passed away March 3, 2005. She leaves to cherish her memory, two daughters, Debi (Bob) Sabelli of Aurora and Sheri(Jack) McCormick, and her brother Edward Benedict of Phoenix, AZ. Mary Jane also leaves her grandchildren, Ryan (Jamie) Sabelli of Ft. Lauderdale, FL, Marc (Brittney) Sabelli of Redondo Beach, CA, and Erin (Kyle) Mooney of Berea,OH, and three great grandchildren, Kyle, Patrick,Harper and an expected great granddaughter among several nieces and nephews. Besides her parents and her husband, she was preceded in death by her son Joel Kucharski, who passed as an infant, her brother James Benedict and her three sisters Helen A. Campolito; Cecilia Curtis and Ruth Ramsey. Memorial donations in memory of Mary Jane may be made to the Ursuline Motherhouse and/or Hospice of the Valley. Interment will take place at Calvary Cemetery. Friends may call from 4 to 7 p.m. Thursday at the Fox Funeral Home 4700 Market St. Boardman, and from 9 to 9:50 a.m. Friday at Holy Family Church 2729 Center Rd. Poland.